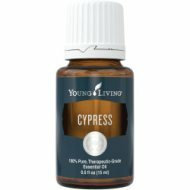 Cypress Essential Oil Get things Moving! Cypress Essential Oil is beneficial for oily or troubled skin. It is also spiritually grounding and helps us accept change by allowing us to go with the flow and feeling more secure with ourselves. It is also one of the oils I use during Raindrop Technique where it is applied to the spine. This section is a fun and easy reference guide for Cypress essential oil. It will tell you how to use it and what to use it for. It will also provide you with some fun suggestions, safety precautions for you and your pet! As I receive new tips and testimonials for Cypress essential oil they will be added to the page, so check back frequently! 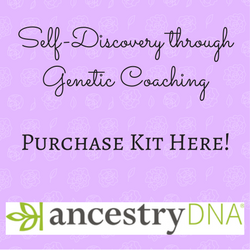 Want to Purchase Therapeutic Cypress Essential Oil? Go to the Oil Shop! Buy Cypress Essential Oil Here! Why is this Information Important? It is always important to know the genus species of a plant when using and purchasing essential oils. Using the common name is just not enough information. Many companies may use a substitute species or a combination of species. Remember, even though they may share some similar constituents they are not at all the same. And may be used for different purposes. What is the Origin of the Plant Name? Cypress comes from a Greek word "sempervivens" meaning "live forever". Did you know that it is documented that the cross of Jesus was made from Cypress wood? What are the Plant Properties? Warming and comforting. What are the Documented Cypress Benefits and Uses? Oily or troubled skin. What is the Aromatic Affect on the Mind? It can be mentally grounding and stabilizing. Herbaceous scent, fresh and woody. What is the Spiritual Influence? Cypress's properties reflect its spiritual influence. Eliminating what is stagnant opens us up to spiritual harmony. So cypress essential oils will support us not only to accept the changes we need to make, but also, to distinguish what changes are best for us (and our own spiritual growth). By the way, any of the oils that are from trees (Palo Santo, Cedarwood, Frankincense, etc) will provide stabilization, grounding and security to our being, physically and emotionally. What Chakra is Affected? The sacral and throat chakras. What is the Corresponding Chakra Color? Orange. Can this Oil be used for Animals? Yes, have your animals smell it directly from the bottle or place a drop or two in your palm, then smell. Or place a drop in your palm and pet head to toe. Key oil in Equine Raindrop Technique. Note about Animal Use: Certain oils can be very toxic to cats. Citrus and pine oils in particular that are not of therapeutic grade! Please consult your vet if you are not sure about applying any essential oil to your pet. Pregnant women should use this oil with caution. This oil is EarthKosher Certified! Did you know that the Greeks carved their statues of the Gods out of Cypress? Did you know that the Cypress is devoted to Pluto, Roman God of the Underworld? In the Greek world he was referred to as Hades, the God of Death (transformation, change, fear of unknown). See how that connects with the spiritual influence? Place cypress oil on the inside of the shin bone and use in conjunction with vita flex to get things moving!